Is there anything that you love and you hate? Something that you couldn’t do without, but that causes you angst and agitation? For me, it’s socks. They get everywhere in our house, and never in pairs. It’s not the washing machine that eats them up (I’d quite like it to eat them – there would eventually be far fewer socks if they were gobbled up in the wash), they end up down the back of the sofa, under beds, probably under the floorboards, always at the bottom of the laundry basket. Piles of clean, mis-matched socks looking for a mate, hanging around the house in un-loved deposits, purposefully ignored for the thankless task that they are. Then there are the holey, cardboardy ones…. They are woolly and warm and I really like my feet to be warm. They can be colourful; a little sneaky peek of colourful sock is oh, so lovely. I wear them in bed every night, almost. Summer too, unless it really is too warm. Always around the house, two pairs sometimes. There is something very comforting about a lovely thick, cosy, pair of socks. As essential as cups of tea. The thing is…. I threw a load of our un-loved socks away the other day. I got so cross with how much time was being wasted sorting them out, wondering what to do with them, that I rather ruthlessly threw them in the bin and then felt guilty about it (yes, ok, a little bit good too). Now, I’ve come to be wary of this brand of thought as it can lead to keeping stuff “that might come in useful one day”. It needs to be considered carefully. So would they? I would so love my cosy foot warmers to be useful once they are no longer fit for their intended purpose. More importantly, would the children’s? They have six feet between them and far more socks. Do all those socks really need to end up in the bin? I did put one pair aside. I couldn’t bring myself to throw these away as they had hardly been worn before they became a bit tough and felty in the wash. I tried them on the children; perfect to keep little toes warm in wellies but I could see it wouldn’t last, the novelty would wear off and they would be discarded again. A more permanent solution and use was called for…. Wristwarmers! Of course, the perfect shape and all I’d need to do is chop the foot off. So I did, and with a bit of crochet round the top they are keeping my wrists and hands and arms very warm indeed. So simple to make that it probably doesn’t need any elaboration, but I thought I would anyway. Here's a tutorial for Old Sock Wristwarmers. - Use old socks for dusting and cleaning. Not a bad idea but kid's socks would be a bit small for this. - Old sock blankets/quilts/rugs. Really? - Fill with lavender to make easy lavender bags to keep the moths away, or cat nip for a cat toy. - Coffee cup cosy, perfect for paper take-away cups especially, although with a bit of snipping in the right places I'm sure it could work for a more homely mug too. - Sock toys, monkeys etc. Yes, but at last count my girls had 83 soft toys between them. We really don't need any more! Plenty of inspiration, but would I really want a rag rug made of holey, stiff, faded old socks? I would feel mighty thrifty I’m sure but would an ‘old sock rug’ really be loved or an ‘odd sock stuffed cushion’ really be that comfy. Not so sure. Then I had an epiphany? Revelation? Probably not, these are socks after all, but it did confirm a long held belief about usefulness and quality. About function and design and craftman(person)ship. Taking a bit more care over choosing a pair of socks could make the world of difference to my love/hate problem. 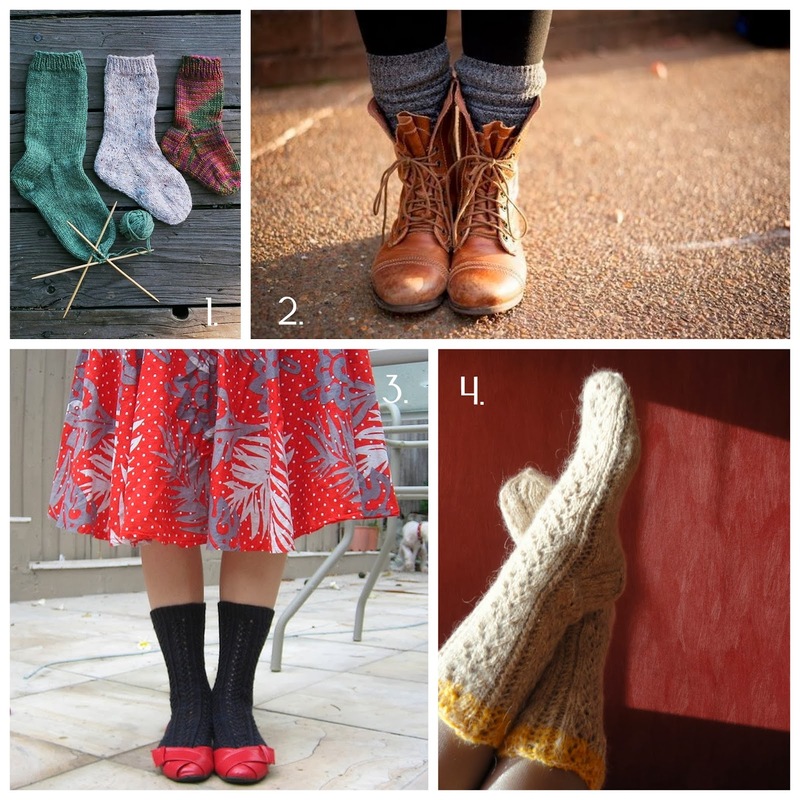 A well-made, woolly, functional yet lovely pair of socks would be both better looked after and more likely to be repurposed once no longer fit for feet. Handmade is most definitely best, we are far more likely to re-use something that we have made in the first place. Maybe I should be making all of our socks??? Unlikely, but a few would be nice.